This is the park that got me started doing walks in the area. It’s very close to our house and is a good size (167 acres). 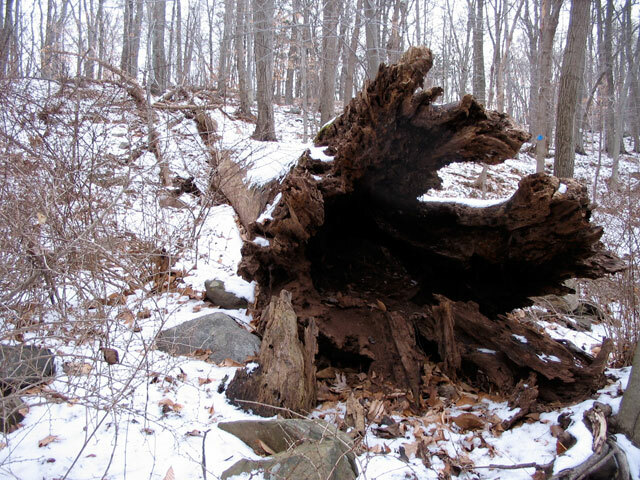 The trails are well established and the park is pretty well maintained, though after the last major wind storm we had I found quite a few downed trees across paths. Nothing major, though. It’s been fairly warm lately so the snow has been melting. However, it was below freezing this morning and the soft melty snow had turned to ice. 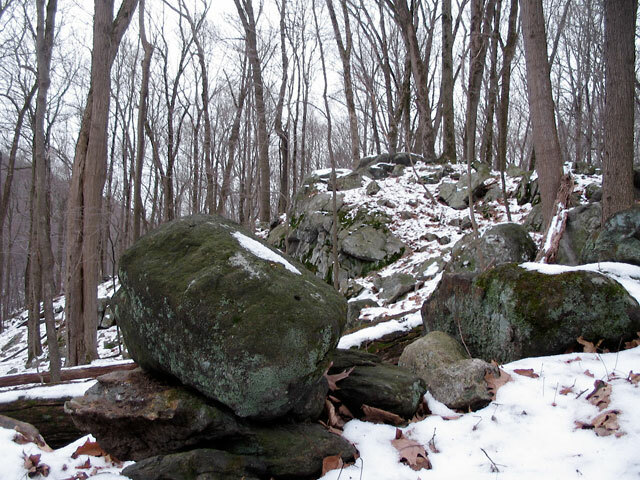 As soon as I hit the trail I slipped and realized that it would be pretty tretcherous going. Luckily I had my Yaktrax with me. After putting them on there was no slipping or sliding. These things are amazing. 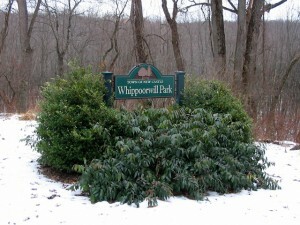 There are some good, steep hills in Whippoorwill, and wanting to get a good workout I steamed up them. I thought I’d make the most of being there and decided to walk all the trails in the park. It’s not that great of a distance, and only took about an hour and a half, but I felt like I got a nice workout when I finished. 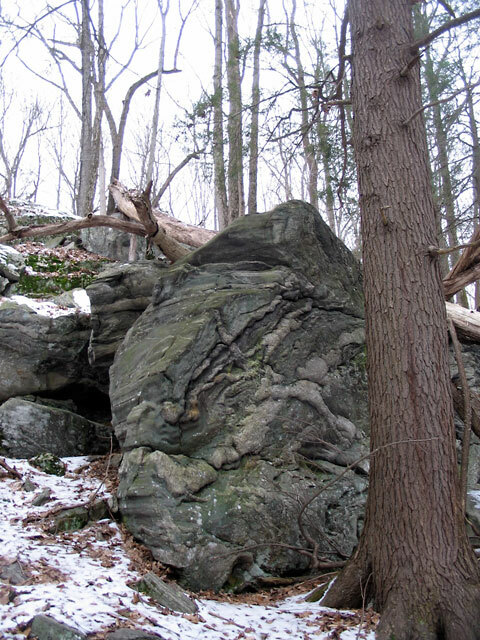 Typical of the area, Whippoorwill has some great rock outcroppings and moss-covered boulders. 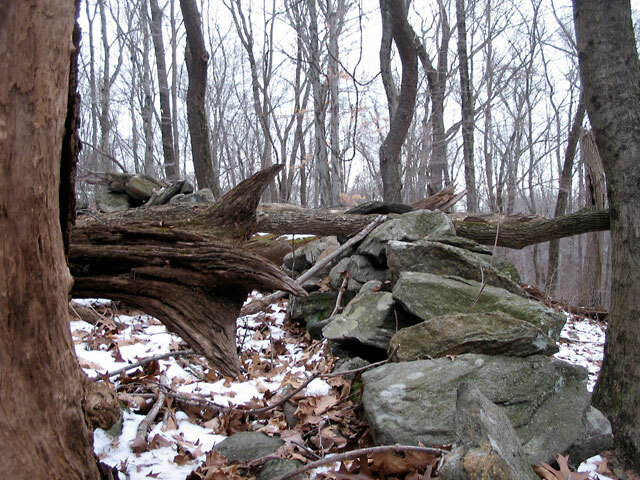 As this area was used as grazing and pasture land years ago there are lots of rock fences and walls weaving throughout the park. You see them everywhere in Westchester, and they lend a nice historical feeling to the region. At some point a previous owner of this land dammed up a stream to make a reservoir. 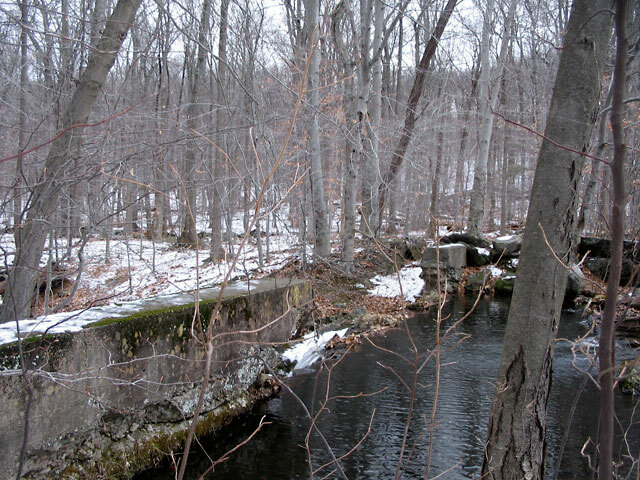 Part of the dam has since been broken but enough remains to make a little lake. A local boyscout troop created a nature trail a few years ago. Along the trail are signs and markers describing the different plants and animals you can find. It’s nicely done, and worth taking a look at. One of my favorite trails is toward the back of the park. There is a large area where a small treel/shrub grows, and it only grows in this area. It also doesn’t lose its leaves in the winter. Strange. This is the business end of a massive tree that must have fallen quite some time ago. 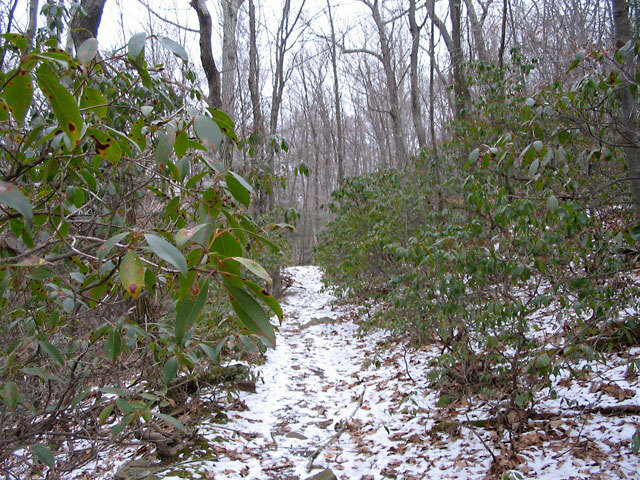 It lays across what looks like an old woods road that the blue trail follows at the back of the park. Since I’m able to go on my walks in the morning during the week I rarely seen anyone here. It’s quite a peaceful place for a woodland walk. For more information, and a trail map, go here. 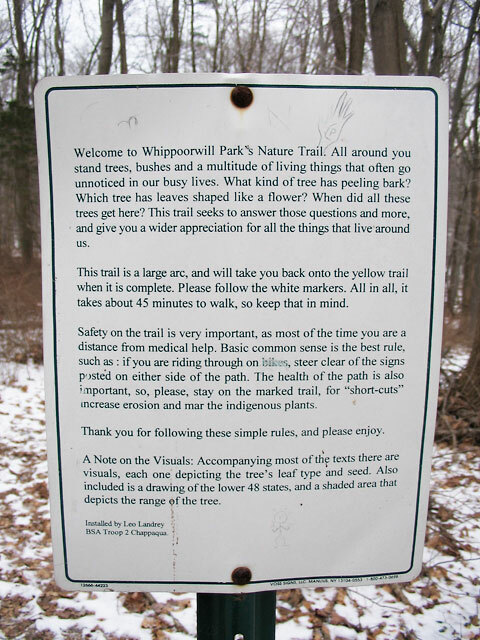 This entry was posted in Hikes and Walks, Whippoorwill Park on January 6, 2009 by Alex Smoller.